Finding your wedding gown should be a relaxing, enjoyable, fun and unique experience. 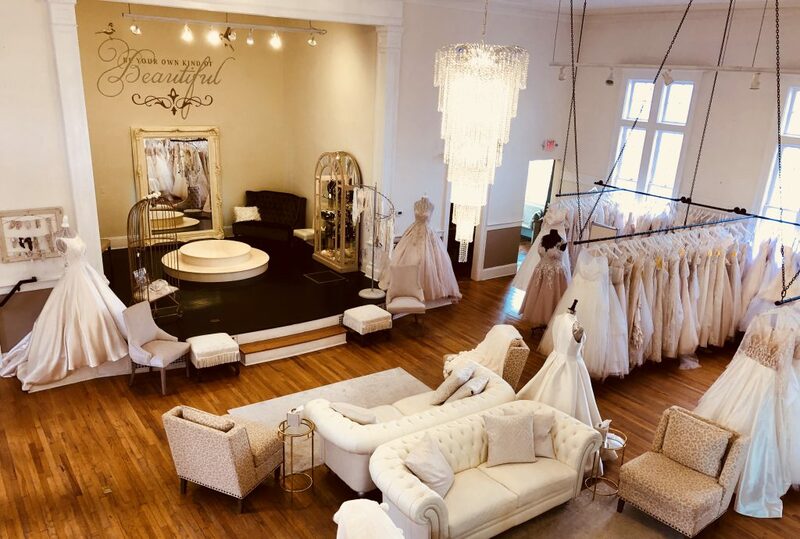 Our bridal boutique and knowledgeable staff provide you, your family, and your friends with an atmosphere and a service that honors the importance of this very special occasion. Wedding Inspirations’ consultant’s listens to your desires and provides guidance to ensure that finding your perfect gown is achieved. Our goal is to provide you with the most personalized and enjoyable bridal shopping experience you could possibly have, therefore an appointment is strongly suggested. Your bridal shopping experience is allotted a 90 minute consultation. The Wedding Inspirations team invites you to discover your bridal day look.